It’s possible that no industry generates as much news as healthcare. Primary care physicians have to stay abreast of it all to ensure that they are able to deliver the best possible care and options to their patients, who present with conditions ranging from routine to rare. Here is a look at important news that every primary care physician needs to know about. For years, physicians have been warned of the dangers of statins. Physicians were told that the cholesterol-lowering drugs taken by an estimated 25 million Americans could cause serious liver injury, cognitive impairment, raised blood sugar levels and muscle damage. A new large-scale review published in The Lancet indicates that the risks have been significantly overstated, and that the benefits of statin therapy by far outweigh the risks. That’s good news for every primary care physician who prescribes the drugs as well as the patients who take them. Read more about the study’s findings. It wasn’t that long ago that local and national media outlets hailed nasal spray as a safe and effective alternative to shots for delivering the flu vaccine. It was effective, it didn’t hurt, it only took a few seconds to administer and families would be more likely to have their children vaccinated if the process didn’t include needles, the reports said. They were 75 percent correct–but the 25 percent they whiffed on matters the most. While nearly every primary care physician across the country was deluged by families wanting the spray flu vaccine for their children, there was a major problem with the product: it was not effective. This is according to the American Academy of Pediatrics and the Advisory Committee on Immunization Practices (ACIP) of the Centers for Disease Control. Both made their recommendations after analyzing data gathered from the U.S. Influenza Vaccine Effectiveness Network that revealed that the spray vaccine offered just a 3 percent protection rate against any flu virus for children aged 2-17 during the 2015-16 flu season. Every primary care physician has likely prescribed antibiotics to children. At the same time, every primary care physician has likely heard about the potential risks of over-prescribing antibiotics to young people, drug-resistant germs being chief among them. Now there’s another possible adverse side effect: food allergies. New research conducted at the University of South Carolina shows that early antibiotic exposure could increase a child’s risk of food allergies, a condition that has increased by 50 percent among children in recent years. According to the study, children who were prescribed antibiotics in the first year of life were more likely to later be diagnosed with a food allergy compared to children where received no antibiotics. If you are primary care physician who is treating a pregnant patient who suffers from hearing loss, you are going to want to be aware of a new study published in the American Journal of Preventive Medicine that show that your hearing-impaired patient is more likely to give birth prematurely or have a low-birth-rate baby. To make matters worse, the study found women with hearing loss were less likely to have private insurance than those without hearing loss. The study results led researchers to develop a perinatal health framework that identifies a number of individual and mediating risk factors for poor birth outcomes among patients living with physical disabilities, including those living with hearing loss. Did you find these stories interesting? We routinely write about medical news that is relevant to providers. Please subscribe to our blog to stay up-to-date on news and much more. They don’t tend to make many TV medical dramas about community hospitals. “ER,” “Grey’s Anatomy,” “St. Elsewhere,” “House” and “Chicago Hope” have all been top-rated television shows. All feature physicians working to save and improve lives. And, all are set in large hospitals located in some of the country’s largest cities. No, they don’t tend to make many TV medical dramas set in community hospitals–but perhaps they should. While large hospitals located in densely populated urban areas tend to get all of the attention, community hospitals offer an array of benefits that simply shouldn’t be overlooked by any physician who is considering their career options. In today’s world, quality of life simply can’t be overlooked–and community hospitals offer physicians an incredibly high quality of life. If you find an opportunity at a community hospital, by all means consider the professional opportunities it will afford. But also be sure to look at the personal opportunities. Is the community hospital located in an area where you can live on several acres? Is it near areas where wildlife is abundant and the great outdoors are easily accessible? Will you be able to easily get to work every day, without fighting traffic? These are all important–but frequently overlooked–quality-of-life benefits that community hospitals offer. Time. It’s a physicians most valuable resource. Unfortunately, too many physicians are finding that they have too little time–especially when it comes to spending time with their patients. Bureaucracy and quotas are taking their toll on physicians at large healthcare systems, where the average time of office visits continue to shrink as doctors work to meet quotas set up by administrators. This isn’t the norm at a community hospital. At a community hospital, physicians typically have more time to focus on their patients. They get to know patients on personal levels. Physicians typically have more information about their patients’ health histories and lifestyles because they get to spend more time with them. It might seem counterintuitive, but community hospitals often offer physicians with more opportunities to gain valuable experience. Physicians who work in community hospitals typically have to become “Jacks- and Jills-of-all-trades.” There are fewer physicians, so naturally there are fewer specialists. This means that community hospital physicians need to be proficient in a wide range of areas that would likely be passed on to specialists in another hospital setting. The result is that physicians at community hospitals get more opportunities to explore areas of health care they might not otherwise get to explore. Just because Hollywood seems to ignore the community hospital doesn’t mean you should. If you are looking for a career opportunity that offers a high quality of life, the time you want and need to provide every patient with exceptional care, and opportunities to explore all that health care has to offer, consider community hospitals. They just might be great settings for you. Elliot Health System is a community hospital. Join us! As you are all too aware, becoming a doctor takes hard work and dedication. Being a doctor requires the utmost skill. Almost everyone respects and admires you. Your job allows you to have a life-changing (and even life-saving) impact on others. And of course, the income can be lucrative as well. As it turns out, however, many doctors find themselves less than enamored with their career choice. For some, this realization comes early on. For others, it arrives later, perhaps not until they reach their 40’s or 50’s. Then there are doctors who have had long, satisfying careers but are simply ready to try something new. Perhaps you recognize yourself in one of these categories and you’ve been thinking about doing something other than practicing medicine. But, how can you make that happen? You already know that change can be hard, especially when it involves moving from one career to another. It can be done, however, if you’re prepared to engage in some soul-searching and stepping outside of your comfort zone. Taking an honest inventory of who you are, what you want and what you consider important are critical if you hope to make a smooth physician career change. The simple desire to do something else. Be completely honest with yourself. For this exercise, think only about what’s true for you, not what others think or what you believe they might think. 2. Is a change really what you want? It is unwise to make a physician career change until you have identified your real motivation for doing so. After all, perhaps all you need is simply a change of scenery, not a complete overhaul of your professional life. A new office might be in order or maybe a different field. Some physicians find that they want to move into management or the business side of health care (pharmaceutical sales, consulting, research and development, just to name a few options). 3. What would you like to do instead? So you want to be a rock and roll star? Paint? Teach at a college or med school? Get an MBA? Clarity regarding your intention is critical. Basing a decision on “what you want to be when you grow up” on a whim will not serve you well. 4. What skills do you need to acquire in order to make the desired change? If you don’t know what it will take to to commence a new career, you cannot possibly hope to get there. Research the jobs/professions that interest you to ascertain the barriers to entry, whether you believe you can overcome them and, if so, how to do so. Then start doing what needs to be done. When it comes to changing your career, inaction is not action. 5. What is preventing you from making a physician career change? No matter the reason, if you don’t believe you can overcome it, your physician career change will not go smoothly. Perhaps you’ve been considering a move to a community hospital. 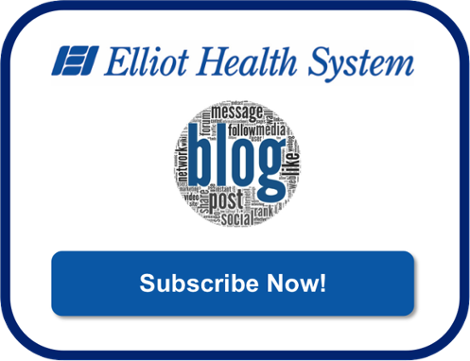 If so, consider the opportunities within Elliot Health System. Bringing new physicians into the fold is usually an exciting time for a medical practice, whether it’s a small country practice, a large urban care center or anything in between. However, onboarding a new practitioner can also create the fertile ground for frustration, missed opportunities, and even failure. Integrating new physicians into any health care environment requires diligence, patience and foresight. While recruiting the right candidate sets the foundation for a mutually beneficial relationship, the ability to retain that candidate is the brick and mortar that will largely determine whether the relationship is ultimately successful. According to the Medical Group Management Association, the turnover among new physicians has been estimated to be 25% for the first three years of employment. MGMA further reports that the cost of lost revenue, recruitment fees, signing bonuses, the cost of interviewing and relocation and other start-up costs for a new physician can total as much as $750,000. At first blush, this might seem hard to believe, perhaps even ridiculous. After all, we expect a well-educated professional to hit the ground running, so to speak. Consider, however, that effectively incorporating new physicians into any practice can be “a 90 to 180-day process that requires attention to hundreds of details.” One simply cannot expect a doctor to intuit the ins and outs of functioning in a new environment. By providing existing personnel the ability to integrate that new physician in a manner that isn’t disruptive to the existing operation of the practice or facility. Meeting those two objectives will go a long way towards creating a lasting relationship between the doctor and employer, one which leads to a stable environment in which patients are likely to feel comfortable. The following steps will help demonstrate that a new physician is a welcome and valuable asset to the practice and not just simply a necessary addition. Staff integration – More than a simple introduction on the doctor’s first day of work. Onboarding is a two-way street. Much as doctor’s offices and care facilities should make new physicians comfortable in their new work environment, the same applies to making office staff comfortable with new hires. Both admin and medical staff will want to know why the doctor has been hired and what they can expect from that individual. The more a practice provides early opportunities for relaxed and informal interaction, the greater the likelihood of creating a working environment comfortable for all involved and conducive to providing the best medical care and treatment available. If you’d like to read other blogs like this one, consider subscribing. It’s a national epidemic that is wreaking havoc on people from all walks of life, their families and, yes, physicians. It’s opioid dependence, and sooner or later it is likely to touch your professional life if it hasn’t already. According to the American Society of Addiction Medicine, nearly 2.5 million Americans had a substance use disorder involving opioids in 2014. In addition, the Substance Abuse and Mental Health Services Administration reports that the number of Americans who say they have engaged in non-medical use of prescription painkillers–thus putting themselves at risk for opioid dependence–each month totals 4.3 million. Yes, sooner or later you are likely to be faced with patients in the throws of opioid dependence. They will present a variety of challenges, according to the National Center for Biotechnology Information, including psychological symptoms, physical symptoms and concerns about effectively managing pain. For these reasons, it can be difficult for physicians to diagnose, treat and support patients in the throes of opioid dependence. Getting your patient to acknowledge the opioid dependence is a critical first step for several reasons. It allows you to treat the patient with a greater level of precision. It gives you peace of mind that the treatment decisions you will make are more likely to be effective and less likely to do more harm to your patient. In addition, it allows you to treat both the addiction or dependence as well as the condition that brought the patient to you in the first place. Patients who are dependent on opioids can be incredibly challenging to treat. They can be moody, mean and even menacing. This often results in physicians feeling like they would rather call a psychiatrist to deal with the patient. Obviously that’s not a practical solution–nor is it legal. That’s why it’s important for physicians to be aware of withdrawal symptoms and be as sympathetic to the patients as possible. Patients who are opioid dependent rarely get effective pain relief from the dose of opioid they have been abusing. This presents challenges to physicians who are charged with treating the patients’ acute pain. In fact, it can often lead to physicians under-treating patients because they don’t want to make a patient’s opioid dependence worse. Rather than fretting about the dependence, physicians should treat the acute pain immediately–and then address the dependence at a later time (according to an article published on the National Center for Biotechnology Information website). In May 2016, the U.S. Food and Drug Administration approved the very first buprenorphine implant to help patients suffering from opioid dependence. It’s called Probuphine and it’s designed to provide a constant, low-level dose of buprenorphine to patients for up to half a year. It’s believed to be effective–but only if physicians are aware of it and use it. One of the best things you can do to treat your patients who are suffering from opioid dependence is to stay up-to-date on the latest treatments so you can offer them to your patients. Many of your opioid-dependent patients will need behavioral therapy as much as they’ll need treatment for their physical ailments. Don’t be afraid to bring in an addiction specialist to advise you and help your patients. Doing so could mean the difference between seeing your patient become part of the growing number of those who are addicted to opioids and those who recover. Did you enjoy this article? Would you like to read more like it? If so, subscribe to receive our blogs. From a new tool for measuring life-threatening liver disease to why family medicine physicians might misdiagnose heart disease in patients who exercise regularly, there is no shortage of family medicine news. Physicians at Baylor College of Medicine and Texas Children’s Hospital have identified a simple way to detect biliary atresia and other neonatal liver diseases in newborns. The blood test is a game changer for physicians, who up until now have not had an easy way to screen for the hard-to-detect biliary atresia, which is a condition in infants that results in bile ducts inside or outside the liver not having normal openings. The new blood test allows physicians to diagnose and treat the diseases earlier, which could result in fewer infants needing liver transplants. The physicians’ research was published in The New England Journal of Medicine. The researchers note that the study, which took place over a 15-month period at four Houston-area hospitals, needs to be confirmed in larger studies. But, they add, if it is confirmed, it could mean that every infant could now be easily screen for biliary artresia the same way they are screen for other diseases. Read more about this medical news on the Baylor College of Medicine website. Family medicine physicians across the county frequently encourage their patients to exercise on a regular basis. Now a study conducted in the journal, Circulation: Cardiovascular Imaging reveals that those same physicians need to be aware of a common side effect to regular exercise–or they might misdiagnose their patients with heart disease. Researchers with the British Heart Foundation, Imperial College London and Imperial College’s National Heart and Lung Institute conducted a study that showed that regular exercise can thicken heart muscle and increase the volume of heart chambers, particularly the right ventricle. Both are perfectly normal and healthy bodily responses to exercise–they are also symptoms of heart disease. The researchers made their study available via several medical news outlets to make family medicine physicians aware that when thickness and volume occur in tandem, it is likely that it is not the result of heart disease, which occur in isolation. Read more about this medical news on the Imperial College website. With concussion rates on the rise–especially among adolescents–physicians are looking for new tools to help them assess cognitive skills after head injuries. They soon may have it. The U.S. Food and Drug Administration has announced that the agency has permitted marketing of two new computerized devices that help physicians assess a patient’s cognitive functions immediately following a suspected brain injury or concussion. The tests, called Immediate Post-Concussion Assessment and Cognitive Testing (ImPACT) and ImPACT Pediatric, are the first medical devices that have received permission from the FDA to begin marketing themselves to family medicine physicians. According to Carlos Pena, Ph.D., M.S., who is director of the division of the division of neurological and physical medicine devices with the FDA’s Center for Devices and Radiological Health, the devices provide a “useful new tool to aid in the evaluation of patients experiencing possible sings of a concussion.” But, Pena adds, physicians should not rely exclusively on the tests to diagnose a concussion or determine when a patient can return to physical activity. Read more about the devices, which are manufactured by ImPACT Applications, on the U.S. Food and Drug Administration website. If you’d like to receive other articles like this, consider subscribing to our blog.